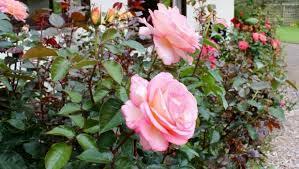 Another good reason to to enjoy urban walking at this time of the year is the beautiful smell of roses that waft from front gardens as you walk past! They are still a popular plant in many gardens and I love to stop and smell a rose as I walk past. Its often the less showy roses that smell the nicest! Despite many attempts, I've never come across a bottle of perfume that can match the aroma of a real rose!